The Australians are known to support local produce, and in their fertile land fresh foods are abundant. Silly me. Of course not. 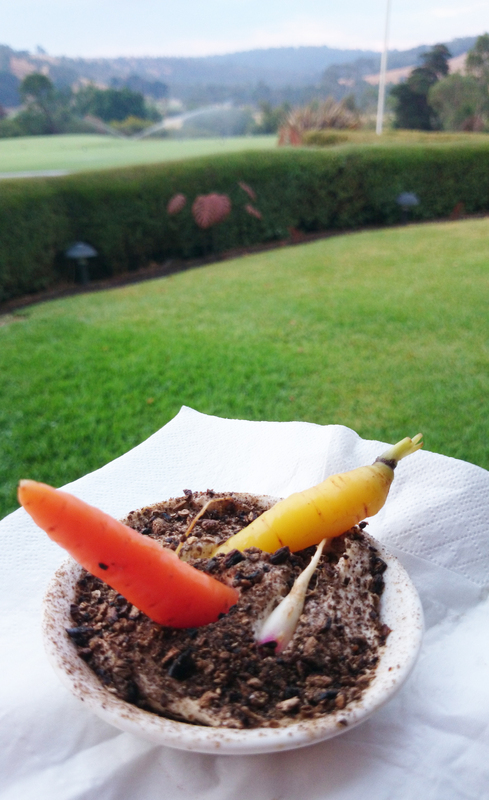 It is just the masterpiece of an ingenious chef who used creamy goat’s cheese and mushroom bits to recreate dirt to best present these organic baby carrots. Kudos to the chef. I love it when effort is put into food presentation!